Three California Chamber of Commerce member companies have been selected by Forbes magazine as among “The Best Small Companies in America” in 2016. Its frontline employees have real interaction with top leaders. CalChamber member company Integrated Project Management has won so many awards for excellence that CEO Richard Panico doesn’t know where to put them. The company implements state-of-the-art management disciplines, such as an annual planning process in which all 145 full-time employees are actively involved. Along the way, Panico has been a pioneer in professionalizing an industry that was in its infancy when he started. Customers praise McRoskey mattresses for their quality and comfort. In 2003, Prince Charles stayed at a bed-and-breakfast in Marin County and on his departure told the proprietress she should order McRoskey mattresses for all the rooms—which she did for most of them. The mattresses, which range from $5,000 for a queen-size and $6,000 for a king, are meticulously constructed. McRoskey’s 30 employees form the coils and build the inner spring units onsite because they’re more comfortable and last longer than any the company could buy. Of the 30 employees, 15 have been there for 15 years, two for 20 years and one for 36 years. CEO Robin McRoskey Azevedo is the granddaughter of one of the company’s founders. New Belgium Brewing is owned entirely by its employees through a stock-ownership plan and is widely recognized as a case study in progressive management. It is a certified B Corporation and gets high marks for sustainability. Its Fort Collins, Colorado brewery produces 18% of its electricity on site, and the company has won multiple awards for its culture. 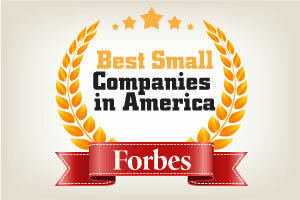 For Forbes’ complete list of “The Best Small Companies in America, 2016,” visit forbes.com/best-small-companies.